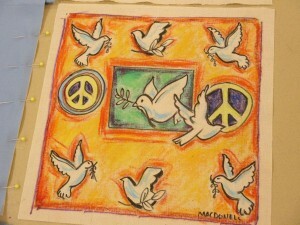 Peace quilts made by members and staff at Ingleside at King Farm are scheduled to be presented to the Mattie J.T. Stepanek Foundation on Nov. 24 at the continuing care retirement community in Rockville. Already 120 panels have been made for the quilts. 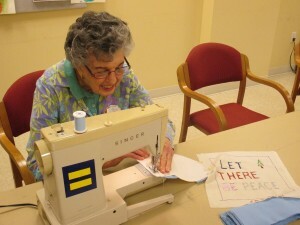 According to a news release, the idea is Ingleside at King Farm’s latest effort to spread the message of peace and understanding as the nation’s first certified Peace Community. 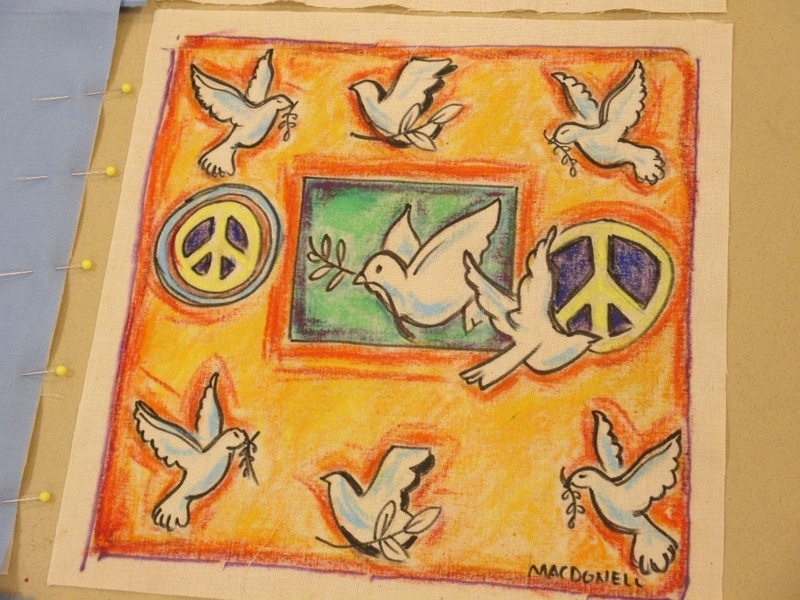 “Not only do the panels in these quilts represent statements of peace, but they saying something about the people that made them,” said Reverend Richard Thayer, chaplain at Ingleside at King Farm. Thayer said many of the quilt panels depict a resident’s country of origin or religious background. The quilts will be on display in the retirement community’s chapel and at its sister communities at Westminster at Lake Ridge and Ingleside Rock Creek.